The indicator shows computer time resolution. Normally it is about 15-16 ms. 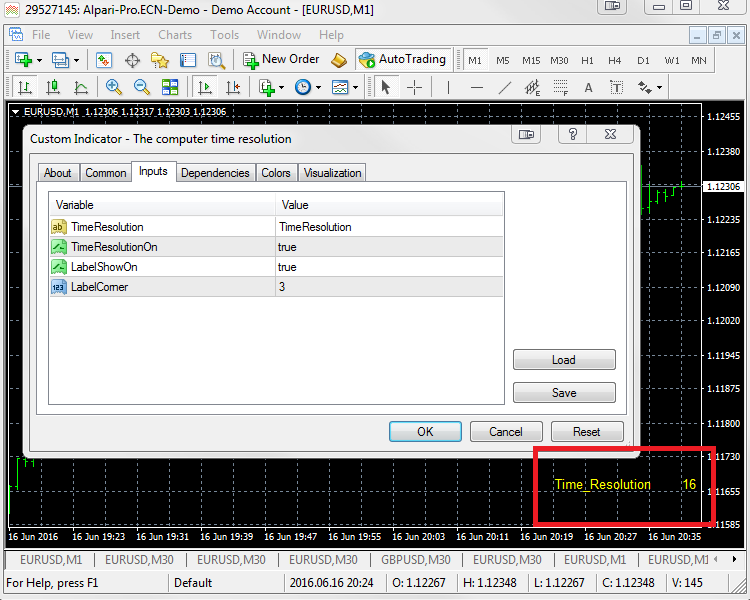 This is important, for example, to copy positions from other MetaTrader 4.